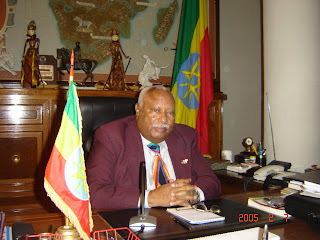 Ethiopian president Girma Wolde-Giorgis passed away on March 13 at the age of 88 to a massive heart attack. The heavy-set Girma had been battling acute diabetes and heart troubles for a number of years, according to sources within the government. 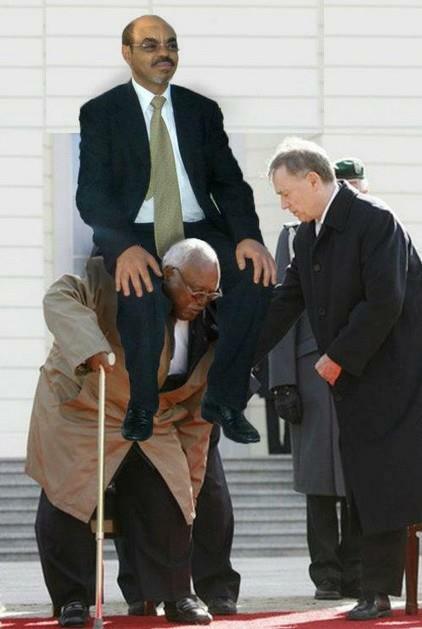 He has held his presidential position since 2001 and has been an EPRDF member since the early 1990s. Throughout his lengthy political career, he was largely known as having no real authority and a puppet of Ethiopian despot Meles Zenawi. Born to Oromo parents in Addis Ababa in December of 1924, the late president went on to study at an Italian school "The scuola Principe Piemonte" in the capital. During his studies abroad, Girma obtained a number of certificates in Air Traffic Management and Air Traffic Control that were sponsored by International Civil Aviation Organization. In addition to his native Oromiffa language, Girma also spoke Amharic, Tigrinya, English and French. He leaves behind a wife of twenty years and five children.